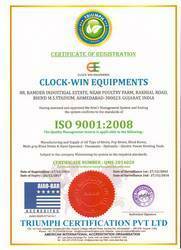 Our proprietorship firm, Clock Win Equipments, established in 1995, is ISO 9001:2008 certified company and a renowned manufacturer, exporter, importer, wholesaler and retailer of Rivets and Riveting Tools in the market. Blind Rivets, Riveting Tools and Pop Rivets are the products widely accepted and appreciated by the customers. We always strive to please our customers with accurate production and supply. For the same reason, we have recruited design engineers with excel knowledge and incomparable skills to ensure the consumers their desired product. Besides this, our products are so finely produced that very low or no maintenance is required for them and they are extremely durable. In addition, they are produced in different dimensions and styles to attract consumers and are corrosion and abrasion free. All these features of our product make us an imperative dealer of rivets in the respected industry. 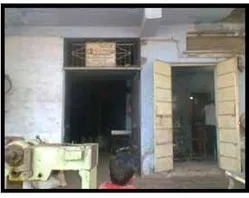 The company premise is setup in an extensive area for smooth production and distribution. For producing exceptionally well-designed products, a company has latest technological machinery, which requires the immense area for smooth operation. 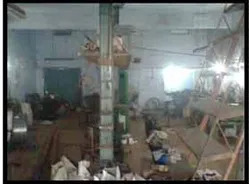 Furthermore, to meet the increasing demands of rivets and riveting tools our company has a huge warehouse for effortless storage of finished goods and also helps in direct selling of products. 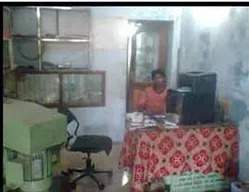 Owing to above-mentioned factors, we have been able to serve reputed names such as Gujarat State Road Transportation Corporation and Kerala State Road Transportation Corporation. "Mr. Annis A. Bhatti", the man who wrote the success story of our company and became the mastermind behind every achievement posses a unique personality. His initiatives and confidence have motivated the employees to work in a challenging and competitive industry. The evaluation of the market and open to change positive attitude has led the company in the right directions. Manufacturing, Trading, Importer and Exporter of Rivets and Riveting Tools. 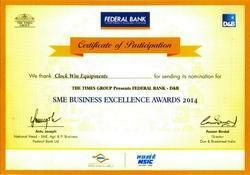 Sme Business Excellence Awards 2014. 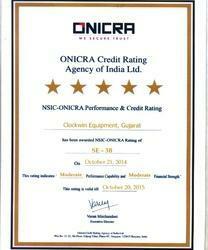 Nsic-onicra performance, we will achieve the highest. We ISO 9001:2008 certified company. We offer a wide range of Rivets & Riveting Tools to our clients with warranty. Our range is fabricated using high quality materials that are obtained from trustworthy dealers in the market and is ultimate for various applications. The varied collection of products catches the vast demand in the modest market for the easy alteration and superiority. Client Satisfaction is given highest priority by our company. Being a client based company; we never compromise in providing products with are durable, reliable, less maintenance. We have a team of specialists who conducts strict and tough quality investigations before dispatching of the products into the market in order to guarantee that the choice is perfect and free from all imperfections. They permit us to trial and uphold accurateness and wanted exact sizes of our range as per necessity of our consumers. Thus, we are able to maintain the quality of the products. Leveraging on our infrastructure and excellent manpower, we bulk manufacture and supply customized rivets as per client requirements. We have a well-equipped design unit manned with experienced and talented designers. All the specific needs of clients are cautious addressed in the customization process that we offer. The Rivets can be customized on various parameters like fabrication metal, head inclination angle, vibration resistance, Plating, Dimensions etc or as per client specifications. We at Clock Win Equipments have clients from the versatile range of industries for our Solid Rivets and Riveting tools owing to their excellent quality, precision makes, fine operation and durability. Having served various industries for more than three decades with our matchless range of solid rivets and riveting tools, there are some common factors which have kept us going and are predominantly responsible for the client trust that we have garnered.